Apple has done it again. The latest upcoming version of Apple's Mac OS X is even cooler than the ones before. Some of the features of Tiger remind me of Apple's old R&D project called "Knowledge Navigator". One of the coolest new [functional] feature is "Dashboard". 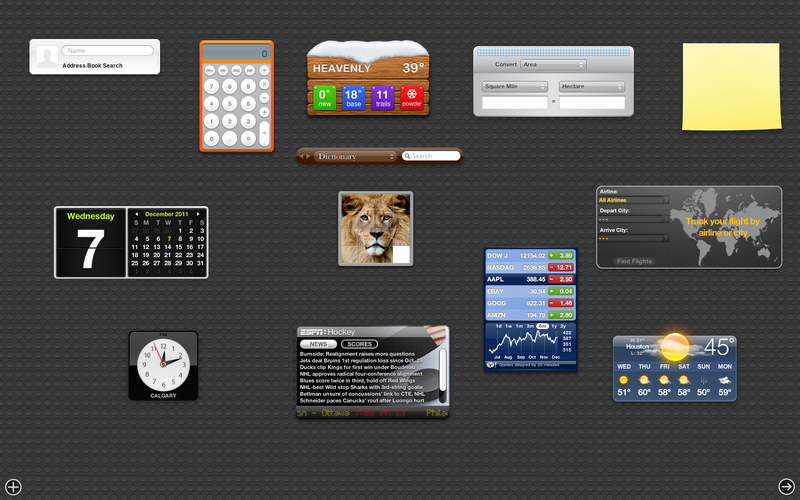 I can just picture all the new Widgets developers will be coming out with. One reason why I think Tiger is so cool is that it has elements of what SUN Microsystems has demonstrated with their desktop User Interface project called "Looking Glass". Looking Glass is the project to develop the next version of Solaris desktop some time down the road. Since Apple is releasing these features first, you know who is copying who. Just by looking at the latest version of Mac OS X you can see the desktop User Interface to come, and it just may arrive sooner than you think if you're fortunate enough to be using a Macintosh. You can check out all the other features at Apple's Preview site.